From time to time Dr. Oliver Sacks is haunted by musical symbols: notes, clefs, staffs and bar lines all fly by his eyes uninvited and in rapid succession. The celebrated neuroscientist can “see” the imaginary scores despite, or perhaps because of, his partial blindness. As it turns out, Sacks is not alone. People from around the world have been writing him letters describing the music-oriented hallucinations that come unexpectedly and unbidden. He’s described their experiences in a new report published in the journal Brain. 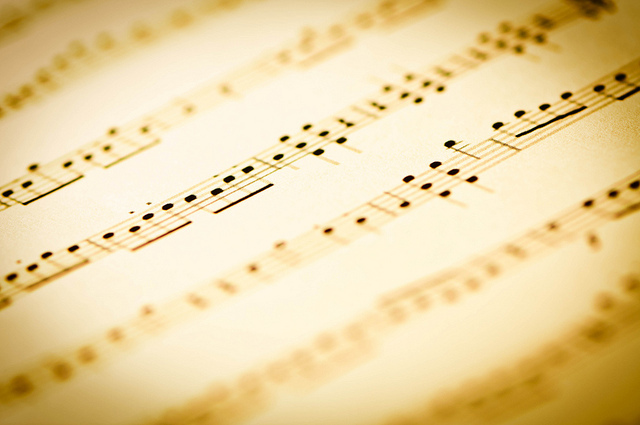 More often than not, people who are visited by these hallucinations of musical notation have problems with their eyesight like Sacks, but the visions can come to people suffering from Parkinson’s disease or even just a fever, he says. While they often come to people who are musically oriented, they can also appear to those who can’t read a note. Sacks describes the case of 75-year-old Ted R., who developed Parkinson’s in his early 60s. Despite the disease, Ted is still an active scholar and writer - and a gifted pianist who’s been having musical hallucinations for the last two years. The first time the musical notations appeared, he’d been reading a book. He turned away from it for a few seconds, and when he glanced back at the pages in front of him, the text had been replaced by a musical score. Ted wondered whether the score was actual music and has tried many times to either transcribe or to perform it, but so far has found that “the music is scarcely playable because it is highly ornamented,” Sacks writes. But Ted perseveres. 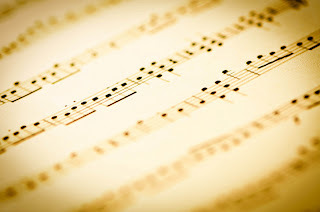 Having discovered that he can summon up the hallucinations by staring at a text on a printed page, he will put a newspaper on his music stand and wait for the notes to appear. Hampered by their complexity and the speed with which they disappear, he’s had little success and so far, no great symphony has arisen from the elusive illusions. Another letter writer, whom Sacks calls Arthur S., finds the hallucinations to be irksome rather than entertaining. Arthur is a surgeon and an amateur pianist who is losing his eyesight to macular degeneration. “He was quite annoyed, as they would appear on a letter he was trying to write or something he was trying to read,” Sacks says. The hallucinations may offer scientists more than merely some entertaining stories about brain quirks. Sacks hopes they will teach us something about the networks that process musical scores. Researchers have already scanned the brains of people who hallucinate faces, Sacks says. “One finds that the part of the brain in the back of the right hemisphere that is normally responsible for recognizing faces, has taken on a life of its own,” he says. Scanning people who suffer musical hallucinations might be even more interesting.